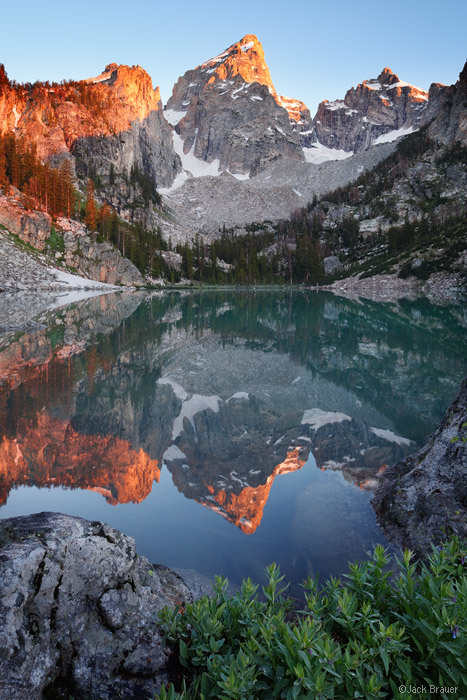 Mountain photos and adventure journals from Wyoming. Sunset above the jagged peaks of Desolation Valley, including Ambush Peak (12,173 ft.) and Raid Peak and Mount Bonneville in the background. 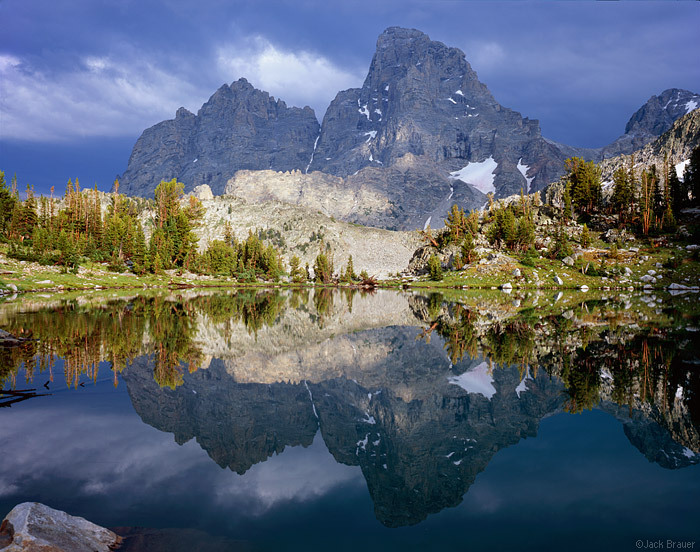 The Wind River Range forms 110 miles of the Continental Divide in central Wyoming. 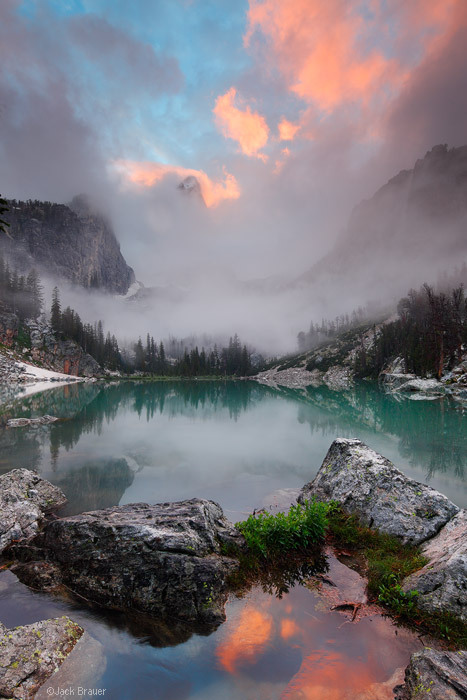 Notable for its plethora of alpine lakes, its soaring granite walls, and some of the largest glaciers in the US Rockies, the Winds are a supremely majestic mountain range and a paradise for backpackers, climbers, and fishermen. It’s been eight years since my last backpack treks in the Winds, and I’ve been excited to get back ever since. Last week Claudia and I went up there and did an eight-day, ~55 mile backpack trek through the southern portion of the range. 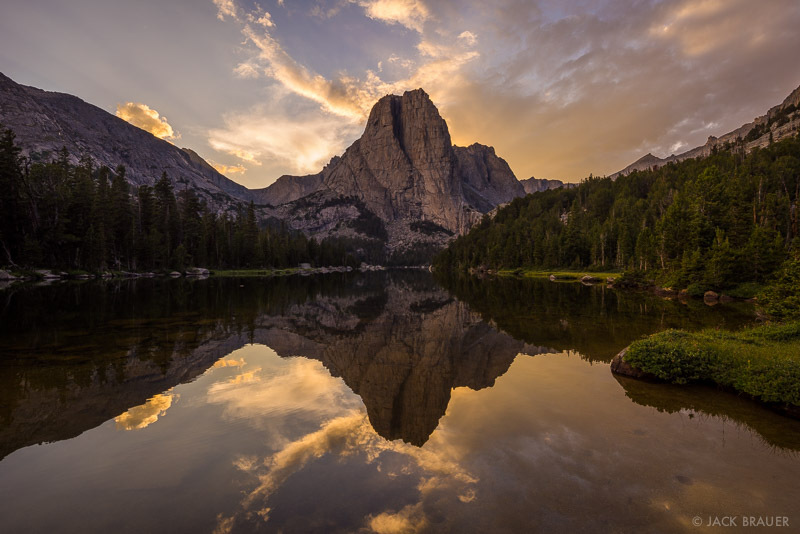 Cathedral Peak (or technically an arm of Cathedral Peak) reflects in Cathedral Lake at sunset. 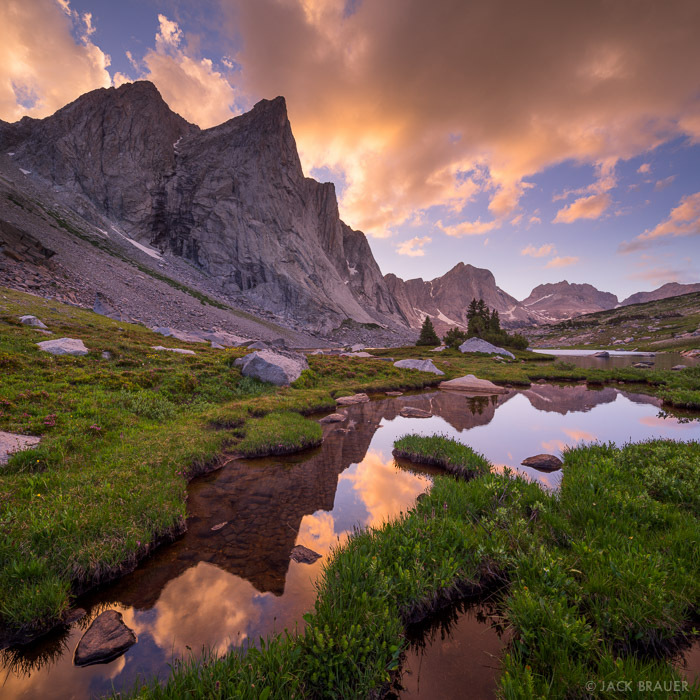 Posted in Backpacking & Trekking and tagged Wind River Range, Wyoming on August 17, 2014 September 8, 2014 by Jack Brauer. 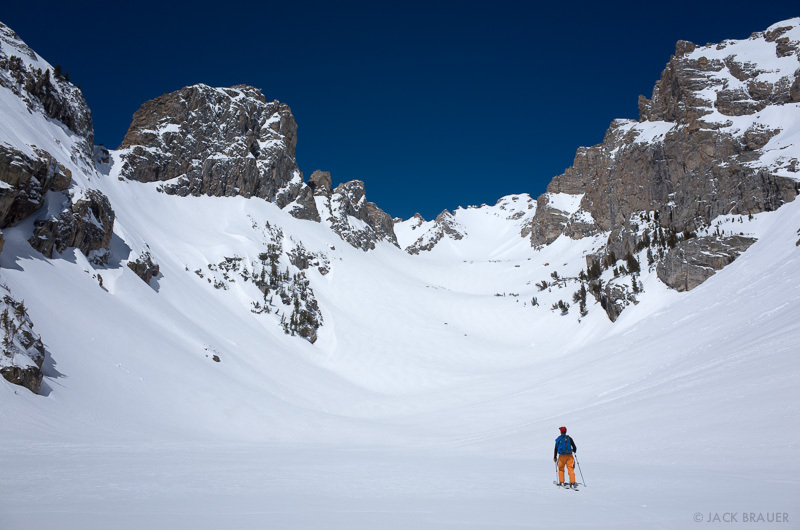 This last week I was up in Jackson Hole, Wyoming hunting spring snow in the mighty Teton range. Though the weather was a bit more unsettled than we could have hoped for, we still managed to slay two really nice long lines. Here’s a few shots from the trip. 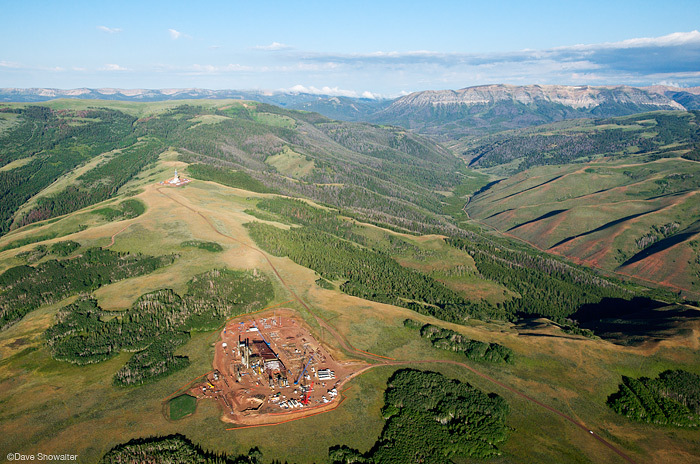 Buck Mountain (11,938 ft.) dominates the scene atop Static Peak. 4+ inches of fresh powder coated this entire cruisey 4,000 vertical foot descent. 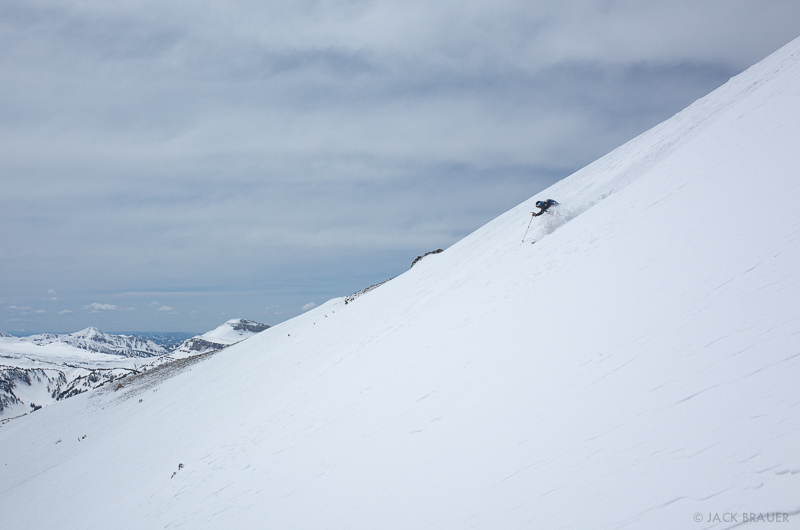 Spring skiing at its best! Skinning up towards The Jaw. 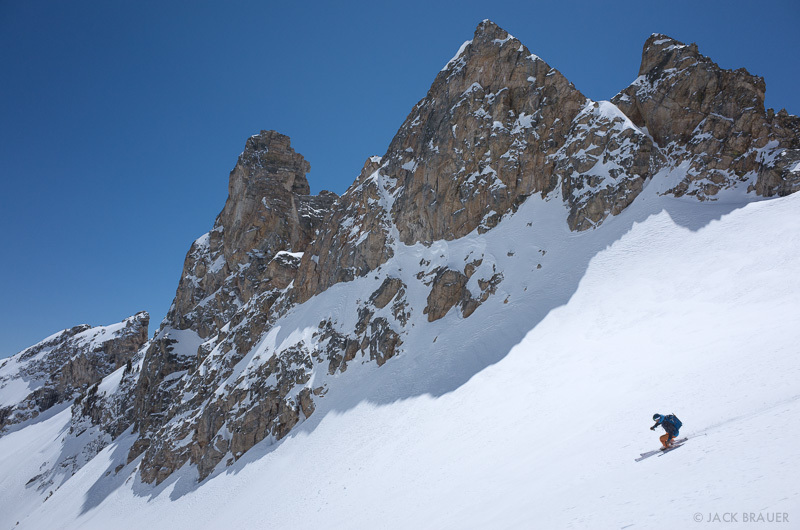 With long, tedious approaches and massive vertical rise, spring ski touring in the Tetons is a demanding endeavor. 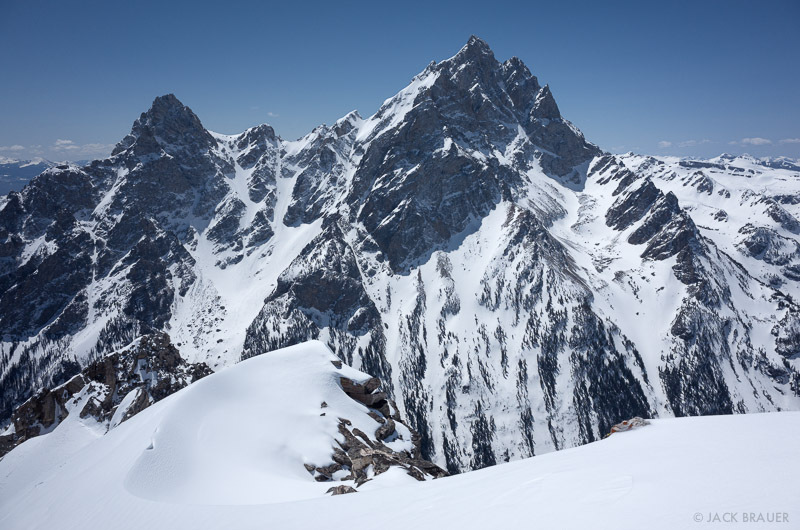 The Grand Teton (13,770 ft.) as seen from the summit of The Jaw (11,400 ft.). 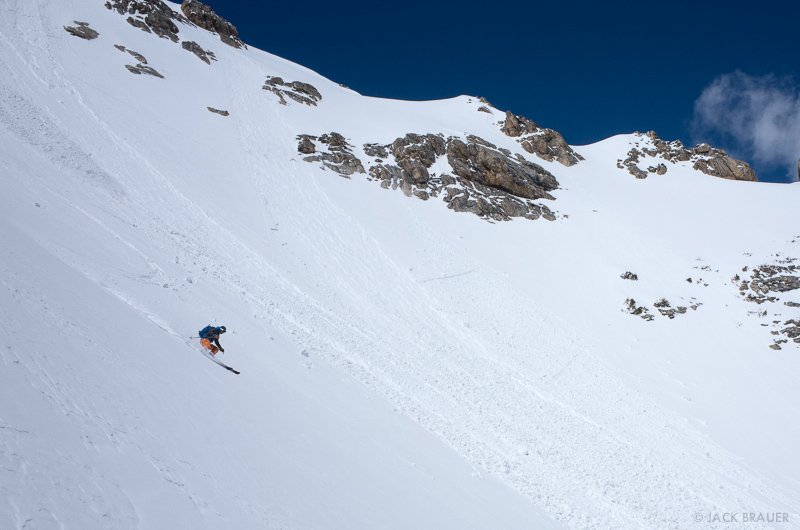 Skiing down and dodging wet slides on the steep open face of The Jaw. 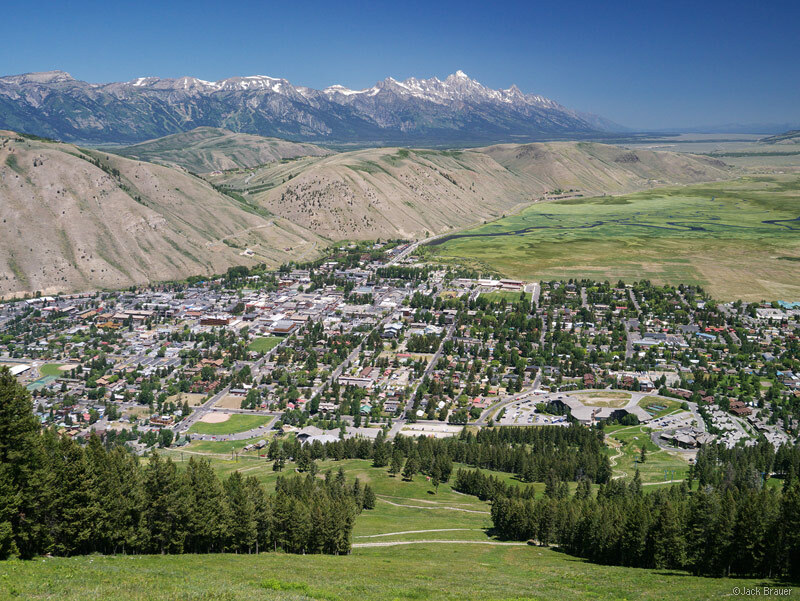 Our last day in Jackson Hole was spent checking out the impressive National Museum of Wildlife Art, followed by soaking our tired legs in some wild hot springs up towards Yellowstone. What a nice way to end the trip! 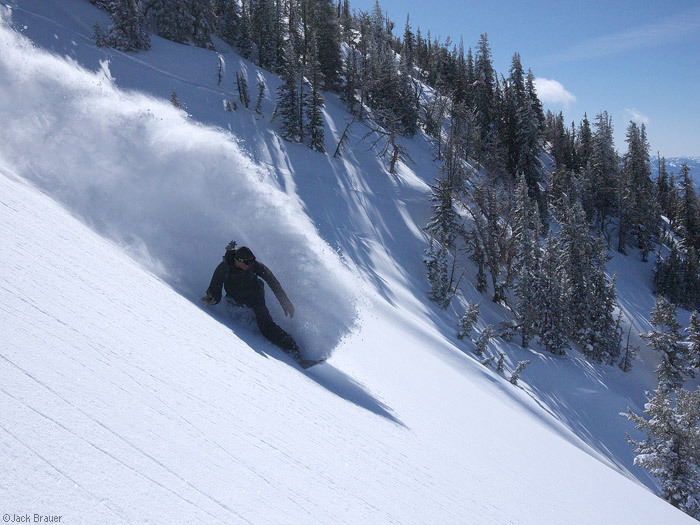 (Back in May 2009 I spent a week riding a bunch of big lines in the Tetons; see those photos here). 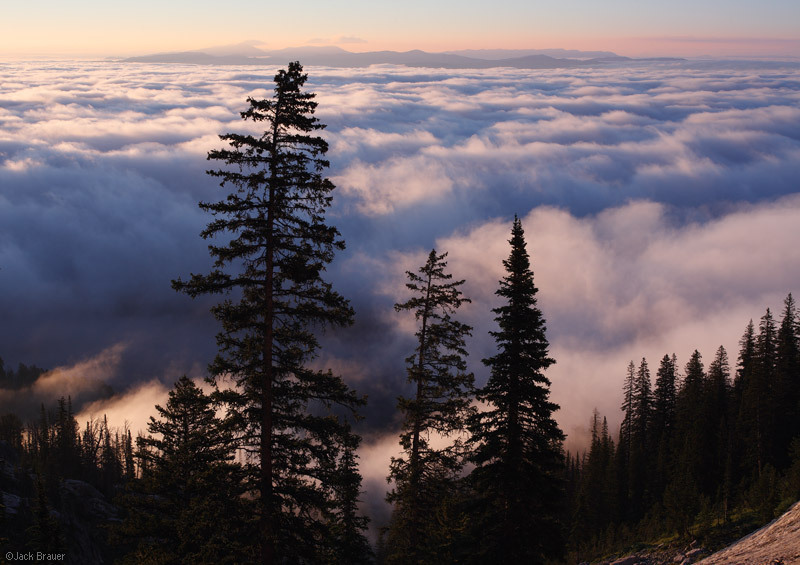 Posted in Skiing/Snowboarding and tagged Tetons, Wyoming on May 17, 2014 May 18, 2014 by Jack Brauer. After leaving Jackson, we drove up through Yellowstone National Park. I’ve never been there before, and it was interesting to see the famous national park – the nation’s first, in fact. 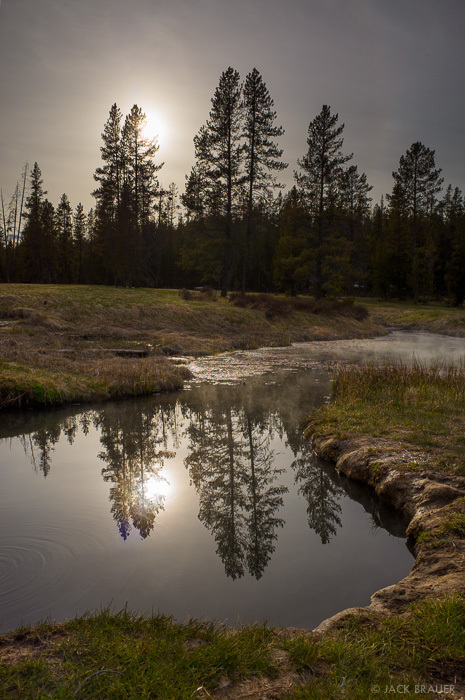 Aside from the masses of gawking tourists, what struck me most about Yellowstone was the absolute purity of the landscape – its untouched pristine landscapes teaming with wildlife. 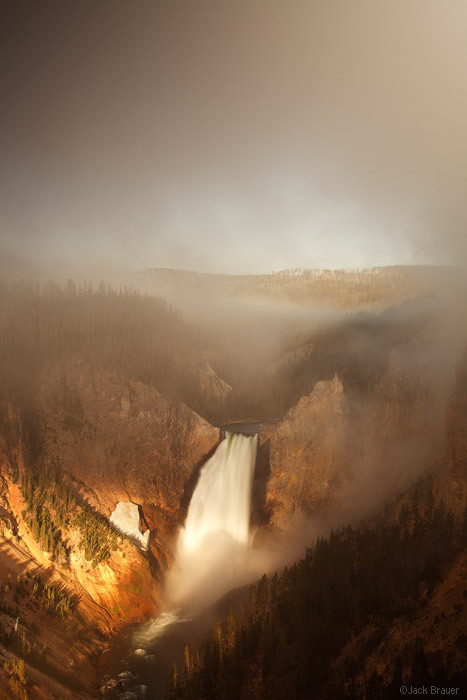 But the highlight for me was the Grand Canyon of the Yellowstone and its thundering waterfalls. 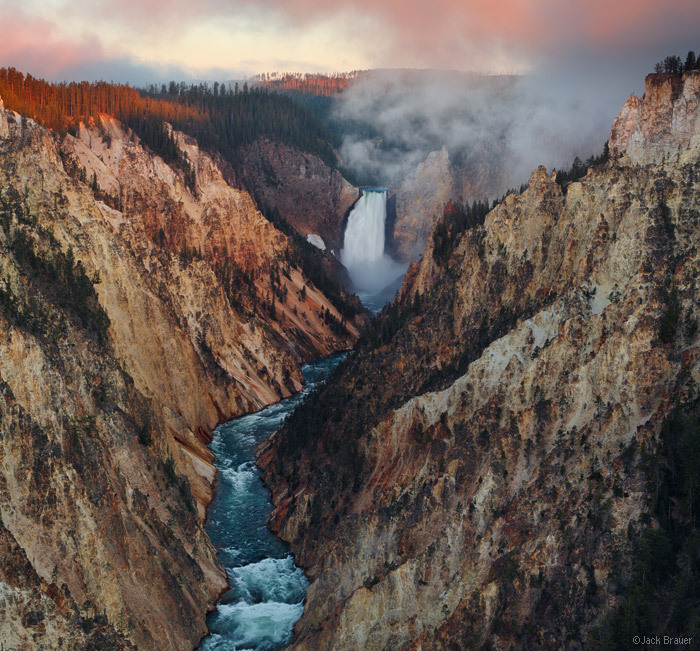 The awe-inspiring lower waterfall of the Yellowstone River as it crashes through the Grand Canyon of the Yellowstone, as seen from Artist Point at sunrise. 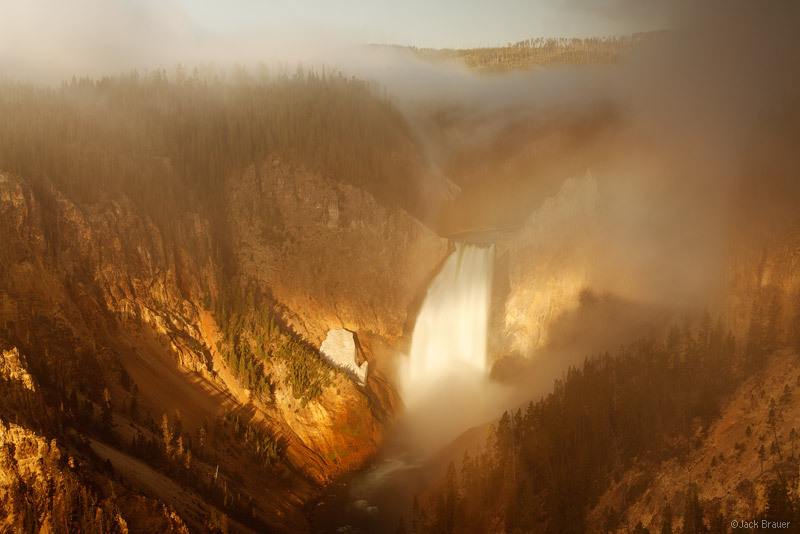 Sunrise light shines on the lower waterfall of the Yellowstone River on a misty morning in the Grand Canyon of the Yellowstone, as seen from Lookout Point. 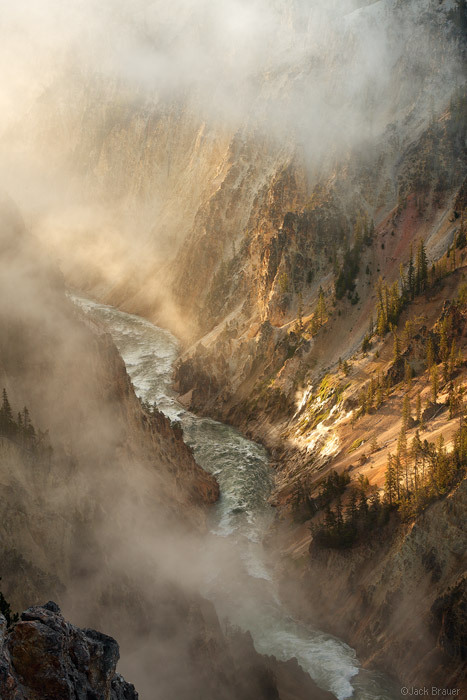 Sunrise light shines through the Grand Canyon of the Yellowstone on a misty morning, as seen from Lookout Point. Posted in Uncategorized and tagged Wyoming on July 9, 2012 November 24, 2013 by Jack Brauer. Here’s a photo I just dug up from the archives, taken back in August 2006 during a 4 day backpacking loop hike in Grand Teton National Park, Wyoming. This photo was shot with the large format 4×5 film camera, with a 135mm lens. Seeing this makes me want to get back to Wyoming again for a summer backpacking trip! Posted in From the Vault and tagged Tetons, Wyoming on August 27, 2010 May 19, 2013 by Jack Brauer. The storm cycle has cleared for the time being, and we enjoyed a beautiful bluebird morning up at Teton Pass, scoring three powdery descents before noon. 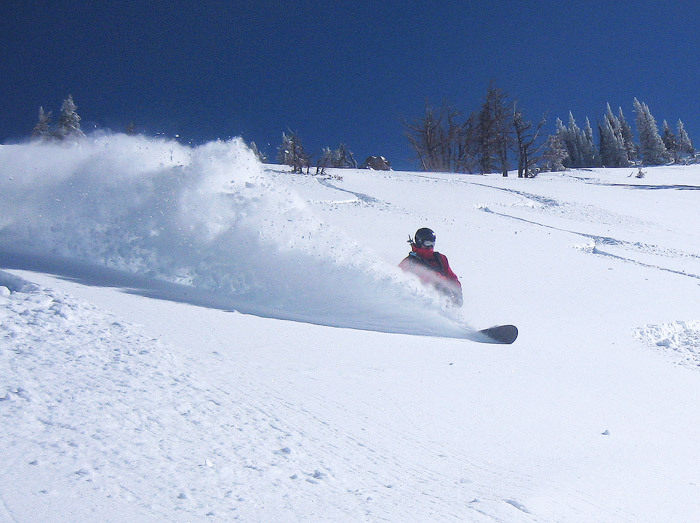 This late in the season, you’ve got to get the powder early on sunny days! Rider: Jason King. Rider: Jack Brauer. Photo by Jason King. Posted in Skiing/Snowboarding and tagged Tetons, Wyoming on April 7, 2010 May 19, 2013 by Jack Brauer. 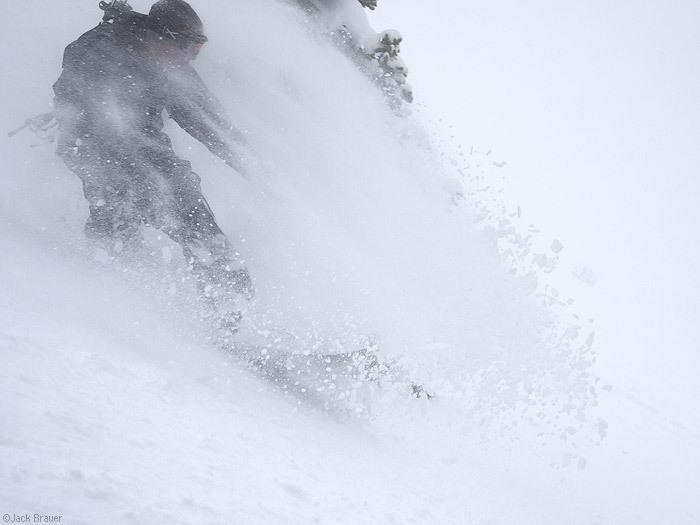 Another foot or two of fresh powder! It’s ridiculous! I stepped off the bootpack at one point and sunk up to my waist. April faceshots. Rider: Jason King. 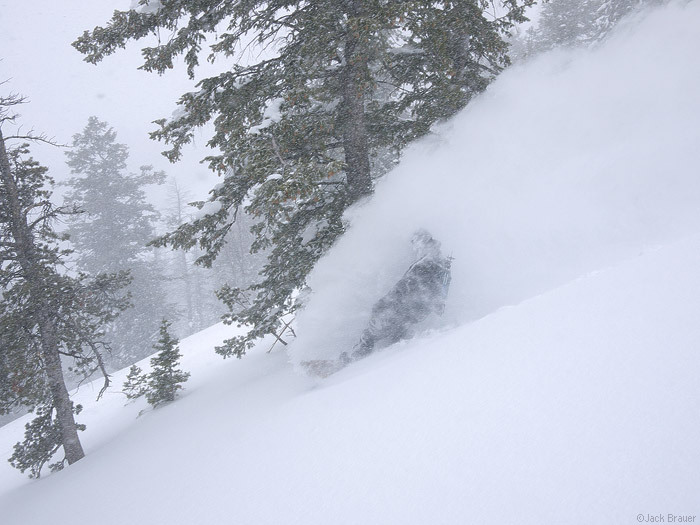 Thigh deep powder… on a snowboard. Probably the deepest snow of the season. It felt like cloud surfing today. Posted in Skiing/Snowboarding and tagged Tetons, Wyoming on April 6, 2010 May 19, 2013 by Jack Brauer. 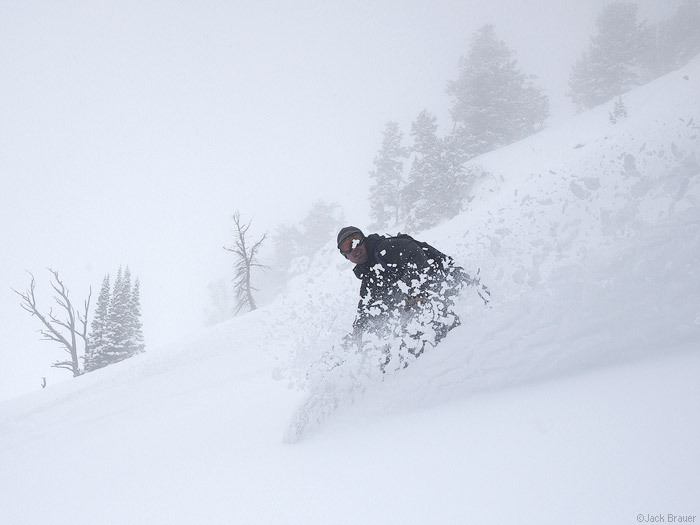 Winter has returned in style this last week in Jackson Hole, bearing the late-season gift of four feet of fresh powder. 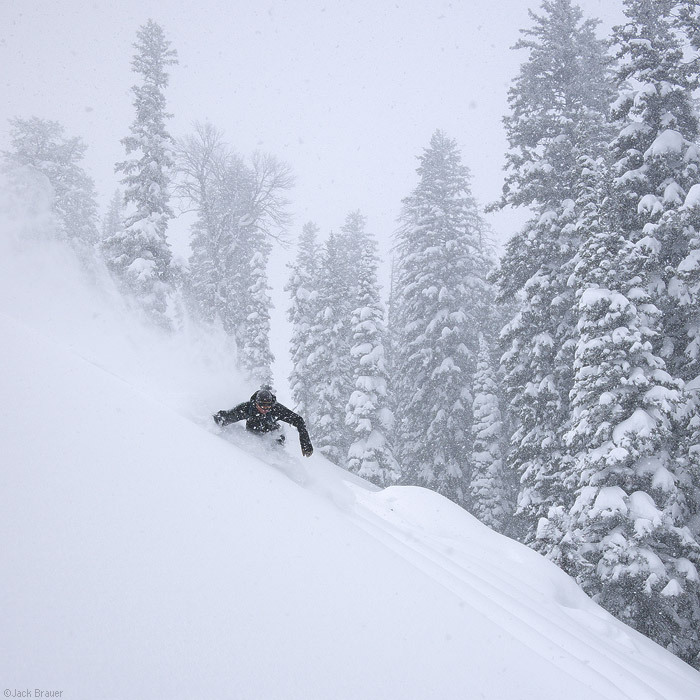 We’ve enjoyed a fun week of powder in and around the Village, but now that the ski area has closed, today we headed up to Teton Pass for a couple deep mid-winter-esque pow lines. 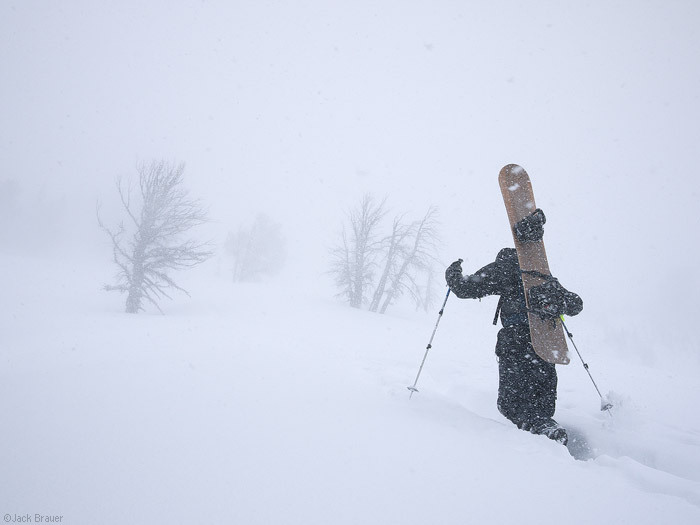 Posted in Skiing/Snowboarding and tagged Tetons, Wyoming on April 5, 2010 May 19, 2013 by Jack Brauer. 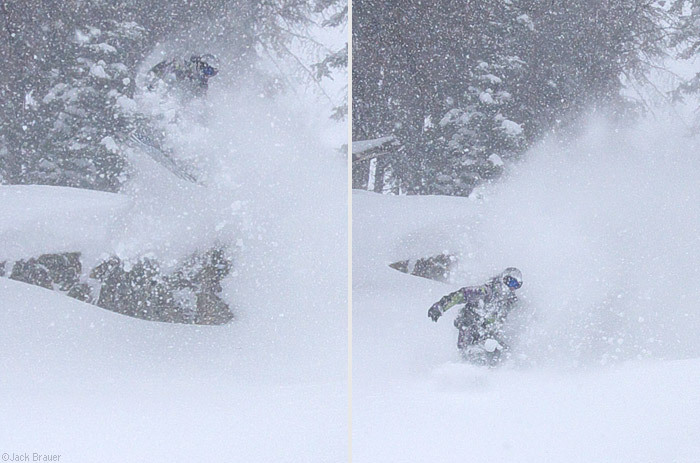 Ryan Vanlanen shreds some deep slackcountry powder on another fluffy day at Jackson Hole Mountain Resort today. 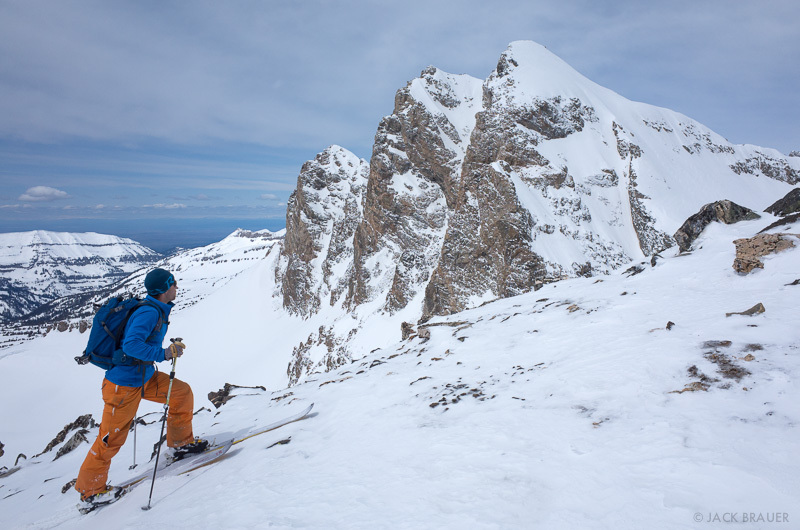 Posted in Skiing/Snowboarding and tagged Tetons, Wyoming on April 3, 2010 May 19, 2013 by Jack Brauer.